A beautiful day use area, the 256-acre Whipple Dam State Park is a delightful and quiet place to visit. The lake is the perfect place to indulge in a refreshing dip, bird watch or just relax. The park area was originally purchased from the Iroquois Confederation by the Proprietary Government of Pennsylvania on July 6, 1754. The land eventually became part of the Monroe Iron Works, a few miles to the north. Charcoal was produced in the area for use in the iron furnace, and there is some evidence of iron ore mining. In 1868, Osgood M. Whipple purchased a large block of land and constructed a dam and sawmill downstream of the current park dam. The purpose of the dam was to supply a source of water for the operation of an ?up and down? sawmill. Whipple left the lumber business in 1897, but the dam remained for many years and was known locally as ?Whipple?s Dam.? In 1927, the Department of Forests and Waters was considering a recreation site in the area and surveyed the old log-crib dam. It was decided to construct a new dam upstream at a better location. 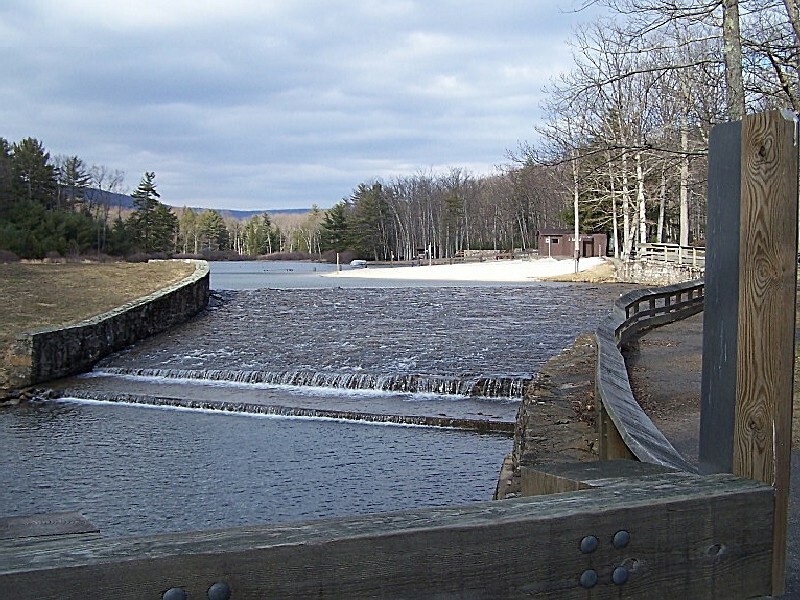 The new dam was completed in the spring of 1928 and provided a shallow pool. 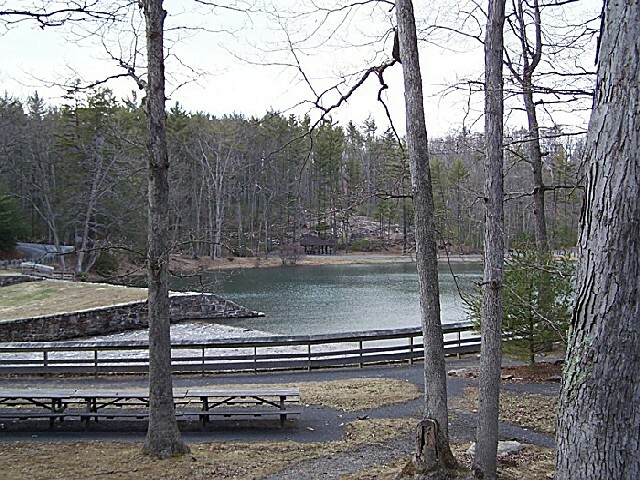 Recreational activities began almost immediately and by the early 1930s, Whipple Dam was listed as a State Forest Public Camp. Between 1933 and 1941, the Civilian Conservation Corps (CCC) had a work camp at Owl?s Gap, east of the park. 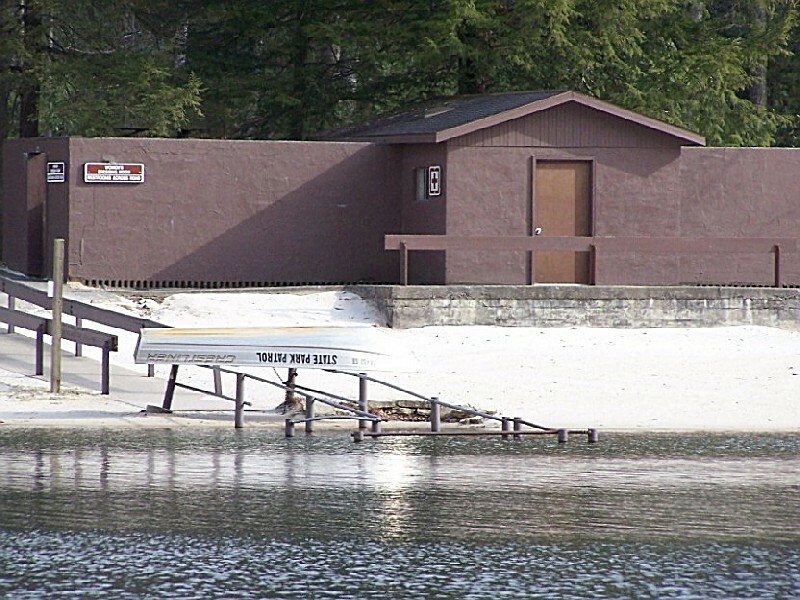 The corps members built pavilions, roads, beach and restrooms during this period. In 1935, the CCC dismantled the old dam and constructed the existing dam and bridge. In 1987, the 32-acre park day use area was designated the Whipple Dam National Historic District. This entry on the National Register of Historic Places recognizes, protects, and preserves the work site of one of the Depression-Era?s most important relief programs, the CCC. The CCC work was performed to guidelines embraced by the National Park Service. The use of native materials and the rustic look exemplify the idea that parks should harmonize with the natural setting and not be glaring intrusions onto the landscape. Today, all construction and repair work is done to complement the design character of the CCC architecture and construction methods. Join us for a refreshing stay in an atmosphere of peace and relaxation. Step back in time as you explore our rural heritage among one of Pennsylvania's Amish communities. If your life is complex, get back to the simple basics with a visit to our bed and breakfast. 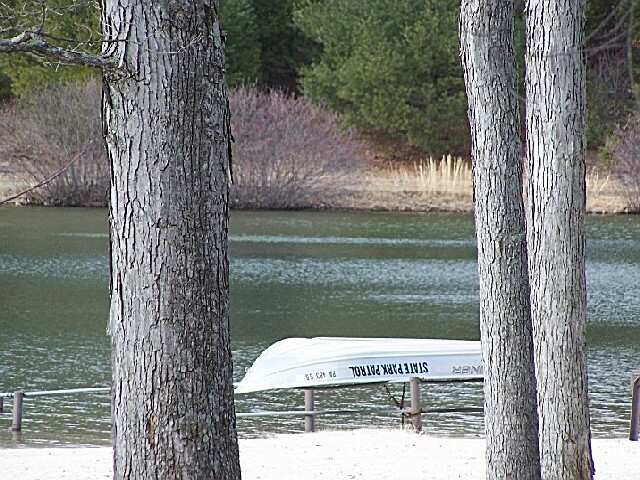 The 22-acre Whipple Lake is great for canoeing, sailing and motorboating. Boat Rental: In the summer season, a boat rental offers canoes, paddleboats and rowboats. Three large picnic pavilions and many picnic tables are in a forest-covered area, close to the beach, lake and snackbar. Hand operated and pressurized drinking fountains, charcoal stoves and restrooms are throughout the park. The three picnic pavilions may be reserved up to 11 months in advance for a fee. Unreserved picnic pavilions are free on a first-come, first-served basis. Call 888-PA-PARKS for reservations. 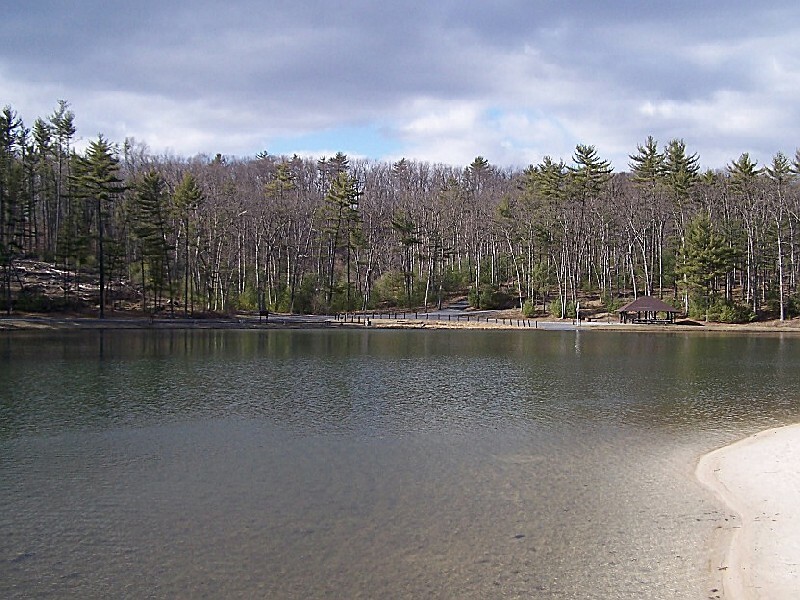 Whipple Dam State Park is in the northeastern corner of Huntingdon County, 12 miles south of State College. The park is easily reached by turning east off of PA 26 at the Whipple Dam State Park sign.